Hamlet | Collage in Park Cinema Metro Park buy tickets online. Delivery of tickets for the event Hamlet | Collage. The play is about human, remaining with his own perception. Eugene Mironov plays all the roles of Shakespeare plays. In the performance, you can see all the latest methods of work with video. In the middle of the composition cube constructor was programmed with a special way. 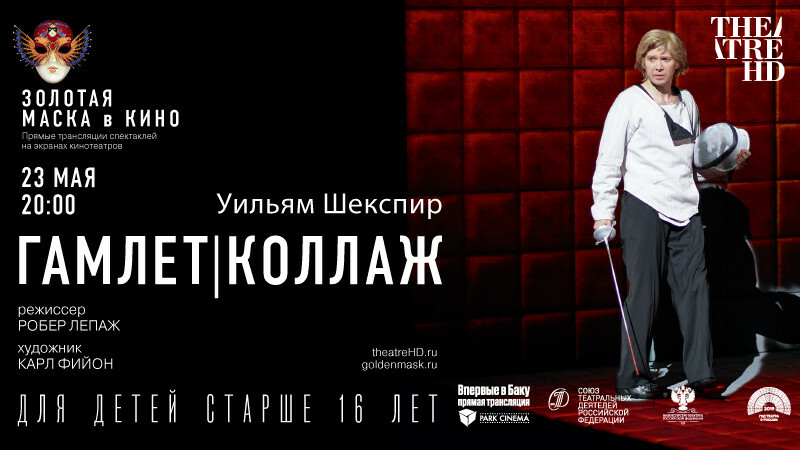 “Hamlet | Collage "- is the first performance of Robert Lepage in Moscow, it`s the largest joint cultural project of Russia and Canada. All over the world, viewers know the works of Robert Lepage “The Other Side of the Moon”, “Project Anderson”, “Lipsink”, the famous Cirque du Soleil show “Kå” and many others. The proposal to stage the play in Moscow, Robert Lepage, received after a personal acquaintance with Yevgeny Mironov during the visit to the reconstructed building of the Theater of Nations. "The best work of the director"
"The best work of a costume designer"
Winner of the “Star of Theater” award in the nomination “Best Performance”.